Want to learn to make professional looking macarons? 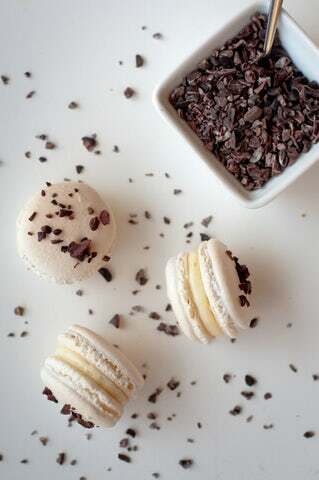 Then check out the Toronto Macaroon Making Workshop. Visitors will spend 2-hours at Le Dolci School to learn the technique! Learn to make professional looking macarons at a fun foodie studio in Toronto. The cake making school teaches you the technique of macronage and how to fill macarons in an informative and informal environment. Located in downtown Toronto, Le Dolci is a fun, foodie school that is the scene for this 2-hour workshop where you will learn the art of making macarons, the legendary French pastry sweet treats. The relaxed class teaches you how to work with the macaron fillings and the techniques of macronage to get the batter just right. The studio is located at 1006 Dundas St W, right across from Trinity Bellwoods Park. Close to Toronto’s best hotels, restaurants and cafés, you will receive an enjoyable, yet educational, lesson from an expert cake maker. You will learn fail-safe secrets to making macarons using everyday kitchen items. You will make 2 different flavored and colored macarons, each with its own panache filling. The class is a hands-on experience where you practice the art of macronage and learn how to pipe perfect macs. At the end of the 2-hour lesson, you will depart with your very own macarons, ready to impress your family and friends. Contact us now and get ready for your Toronto Macaron Making Workshop!